Political parties often draw ideas from thank-tanks as they struggle to form their own policy programmes. Those who want to make their catalogue of promises greener will be able to draw inspiration from La Fabrique Ecologique’s most recent work. The organisation, chaired by Géraud Guibert, presented its environmental proposals for the European Union on Tuesday (19 February), in an attempt to write a different narrative. 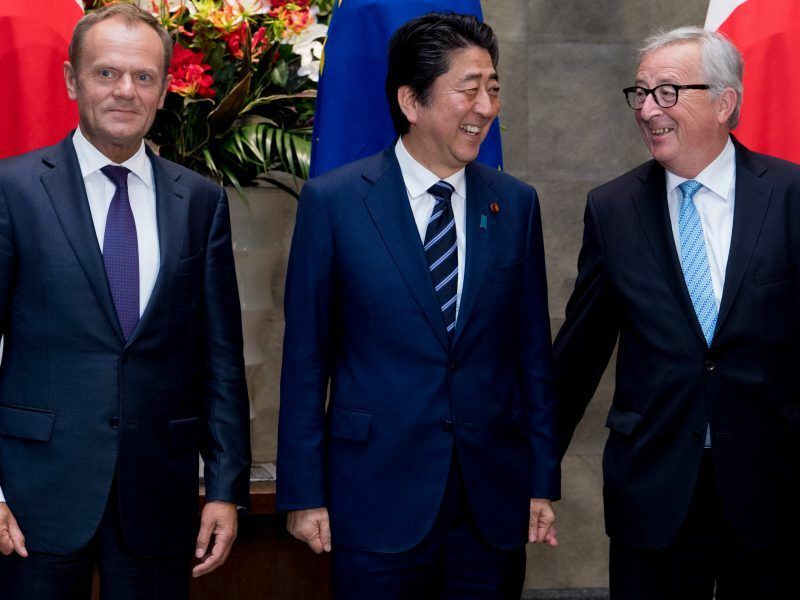 “Because the idea that Europe is peace won’t work anymore,” regretted deputy chair Thierry Libaert. 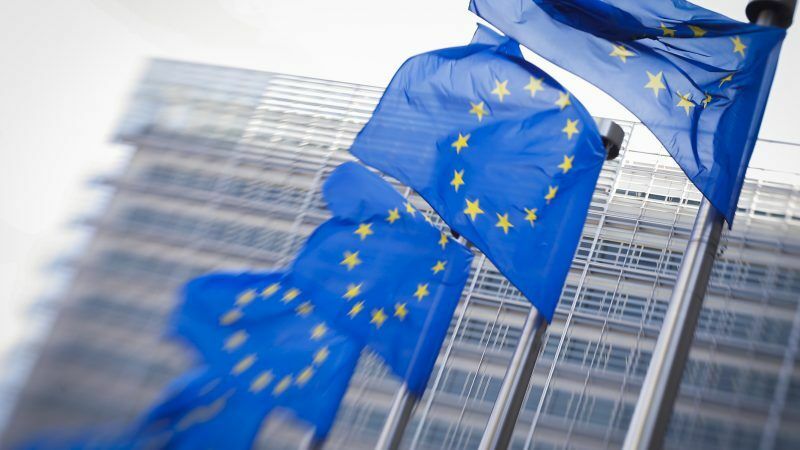 Following the ideas of left-wing economist Pierre Larrouturou, La Fabrique Ecologique has proposed launching a European investment plan “explicitly dedicated to the climate”. “It may be similar to what many economists are proposing,” Guibert admitted. “But never mind the modalities: it has to be done,” he said. “Europe could implement mechanisms to prevent competitors from countries which do not comply with the Paris Agreement from having a competitive advantage over their European competitors,” Guibert said. In other words, the EU could establish a carbon tariff at the borders. The idea has regularly been raised since Nicolas Sarkozy’s term as French president, and Emmanuel Macron has now picked up the baton. 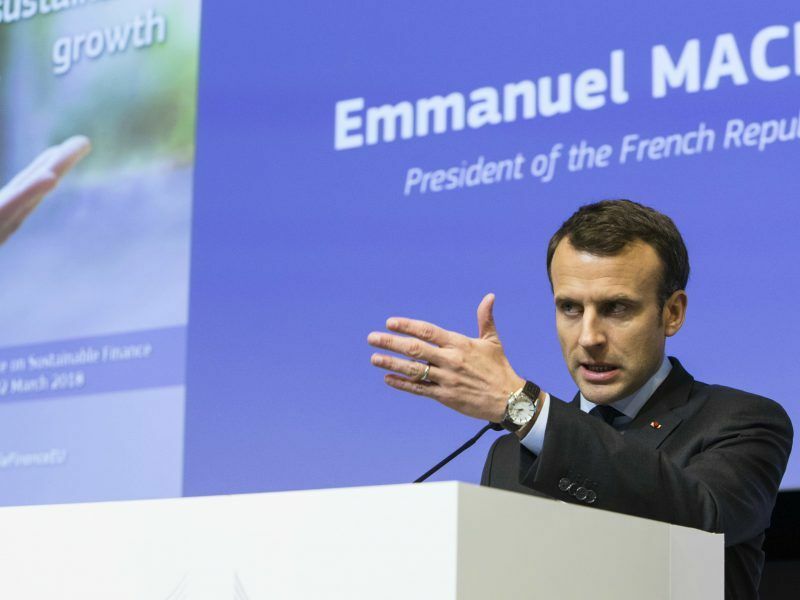 Paris will push for a carbon price floor at EU level, complete with a carbon tariff at Europe’s external border for countries that don’t sign up to the Paris Agreement, French President Emmanuel Macron said in Brussels on Thursday (22 March). Following the EU’s budget procedure, La Fabrique Ecologique recommends establishing an enhanced surveillance procedure if member states do not achieve their climate objectives. “The Commission could compel states to take complementary measures. It could potentially punish them if this additional programme proved insufficient,” said Guibert. The idea is gaining momentum, particularly in the Netherlands, where it is supported by the government. Unsurprisingly, the think tank has seized this and proposed the flat-rate taxation of kerosene for intra-EU flights. “It’s a completely applicable measure which doesn’t violate the Chicago Convention,” Guibert believed. The idea of setting up an “independent committee of experts,” a kind of supreme court with the legal capacity to overturn an unlawful decision is more widely discussed. Last but not least, Europe could also provide information on product lifespans for electrical and electronic products. The think-tank said this was a different way of bringing consumers back to the centre of policy. The European Union's executive pledged on Wednesday (19 March) to improve access to clean water across the region, responding to a 1.9-million-strong petition from citizens demanding recognition of their right to water.